I recently purchased the Hot Spot Two Wheels Self Balancing Scooter from Ikon motorsports at Amazon.com. I got it at a great price $264.53 with a 71% discount, with free shipping. The device is a two-wheel battery-powered electric hoverboard with a sturdy body designed to carry adults. The hoverboard resembles a portable miniature version of a handless-Segway. 1pc of Self balancing 2 wheels mini hoverboard electric scooter skateboard. 1pc The power adapter (Transformer and cord). Ergonomic design: Rolling on this hoverboard makes me feel like I’m in the future. The Hot Spot device is small, sturdy, and made of metal alloy. It is also available in light, black, and other color variants, which are subject to availability on the website. Quick to charge: This device has a charging port on the back side, beside the power button. It takes a couple of hours to charge fully. Instructions for a first timer: I figured and took the advice to stay relaxed until I got comfortable using the hoverboard. Riding this board is similar to riding a skateboard, only a lot easier. I learnt how to balance my way at first. I practiced standing up straight holding the wall, keeping my feet near the rims. Keeping the feet near the rim helped me balance better. It is easy to learn and I found it a lot intuitive as I got used to it. Battery life: The battery on an average lasted for 5 hrs, unlike what was stated in the manual. That is enough to get me around the house and take a trip to a nearby grocery store. Much of the battery life depends on the terrain as well. The terrains I tested the battery life were walkways and hard floors. I also tested the performance on grass and gravel. The grass was too soft for the board and the wheels skid, as it couldn’t get enough friction. On the other hand, the gravel surface was too rough and it heated up the wheel motors quickly. The speed on the gravel surface was slower than normal walk. Hence I won’t recommend using the board on gravel. Going bumpy: It is not easy to go over speed breaker bumps as there is a danger of falling off the board. The situation might turn up where one of the wheels gets suspended in the air, while the other is on the other side of the bump. I waited until I got comfortable with ride and control of the board. I would recommend wearing a helmet, just in case. Uphill Downhills: It is fun riding downhill as the board is steady and doesn’t accelerate like a normal skateboard. But, please be careful not to lean forward as you might accelerate the board and might sustain a fall. Uphill is fine too, just that I had to keep my body in line with what I wanted to do. The key is to stay relaxed and not panic. Controlling the speed: The speed is dependent on the body weight. As I weigh around 190 pounds, the maximum speed I could get to was around 8kmph steadily, which is a slow jogging speed. When I tried to increase the speed beyond that, the board began to shake. The rubber gripped pedal panel is designed to accommodate the feet firmly on the footpads and to prevent slipping during locomotion. Lightweight and sturdy: The metal alloy body of the hoverboard weighs 22lbs, making it portable and easy to carry for adults and children above 14 years of age. Hot Spot Two Wheels Self Balancing Scooter is a trendy electric battery-powered hoverboard for the purpose of personal transportation. The hoverboard can carry heavy loads up to 110kg. Each wheel of the hoverboard is equipped with a 350W engine. The charging voltage required for the hoverboard is 110-240v with frequency 50-60Hz in compliance with US standards. 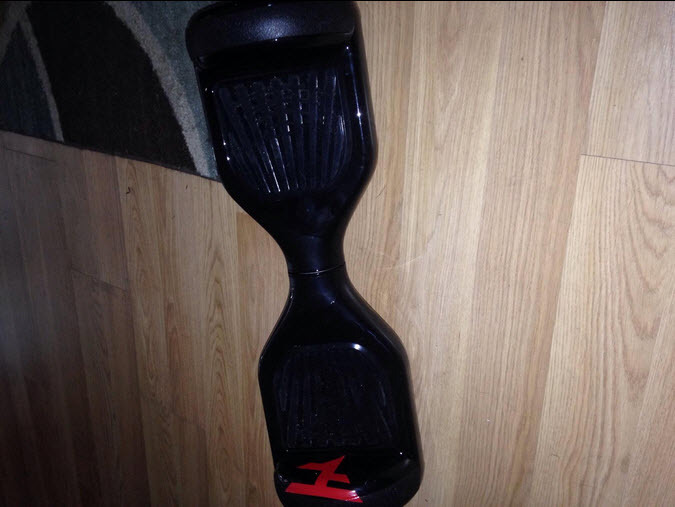 The hoverboard takes 60-120 mins (1-2 hr) to charge fully. The board charges quickly to 80 percent of the full charge in a short time as 30 min. The board is harbored with a speed protection and low battery protection mechanism. The board slows down when the battery is lower than 10 percent and gets locked after stopping. 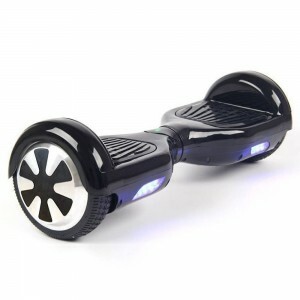 The solid body of the hoverboard is made of metal alloy, enhancing its strength. The body length of the hoverboard is 584mm. The tires are made of solid rubber, ruling out the trouble with flat tires. The tire size is 170mm. The power switch and the charging port are provided on the backside of this self balancing scooter. The LEDs are very responsive and elegant. They lit up when turned on and when I put pressure on the foot pedals. They are wired with a smart mechanism to twinkle under protection circumstances. One important feature of this scooter is the smart voice feature. The voice responds when the board is turned on and warns during low battery. 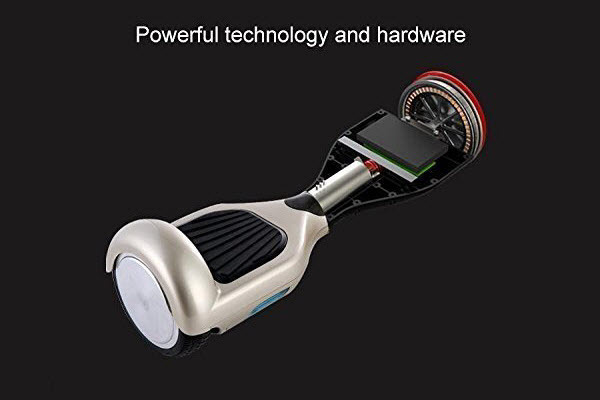 This metal alloy smart balancing scooter comes in a gift box with a standard power adapter and user manual. Long lasting battery life. I find it appealing that it is quick to charge and lasts long. Great price! This is the most cost-effective hoverboard for adults on Amazon. This is an Eco-friendly portable transportation device, which I can take virtually anywhere. This has made my trips to the grocery store more fun. This board has a cool voice alert system to warn the low battery. I like the fact that the design is so futuristic, with touch sensitive LED lights and voice alert mechanism. It’s hard to stay aboard for long time (greater than 20 minutes) without break. I had sore feet. Learning to ride the hoverboard might take a while. The board shakes at higher speeds which might lead to a loss in balance for new riders. If you are looking for a perfect futuristic Christmas gift, Hot Spot Two Wheels Self Balancing Scooter Smart Electric Drifting Board is a great choice. To realize how handy it is, you need to own it!